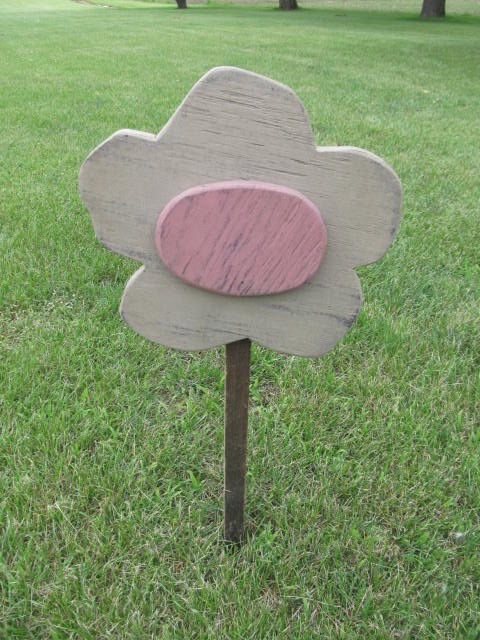 Primitive Tan Daisy with Rose Colored Center Flower Garden Stake. Hand made by my Dad, Tom. Love these to place in flower beds, landscaping, clay pots and more. Wooden stake and flower. Total size is 23" x 9 1/2".